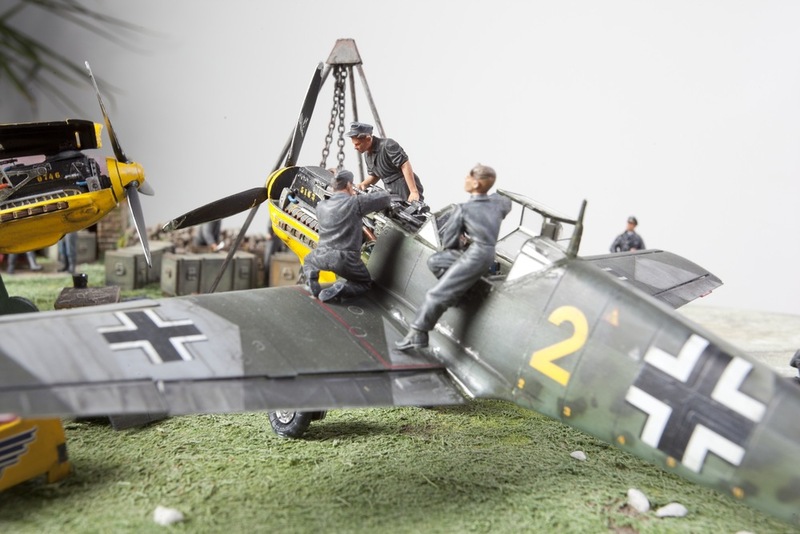 This beautifully crafted diorama includes two Eduard 1/48 scale profipack Messerschmitt 109s, painted using Vallejo model air paints, applied with an Aztek spray brush. 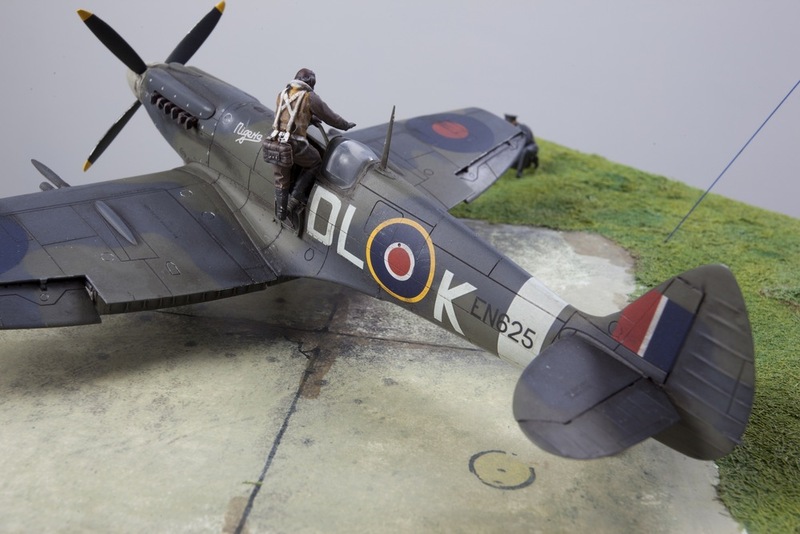 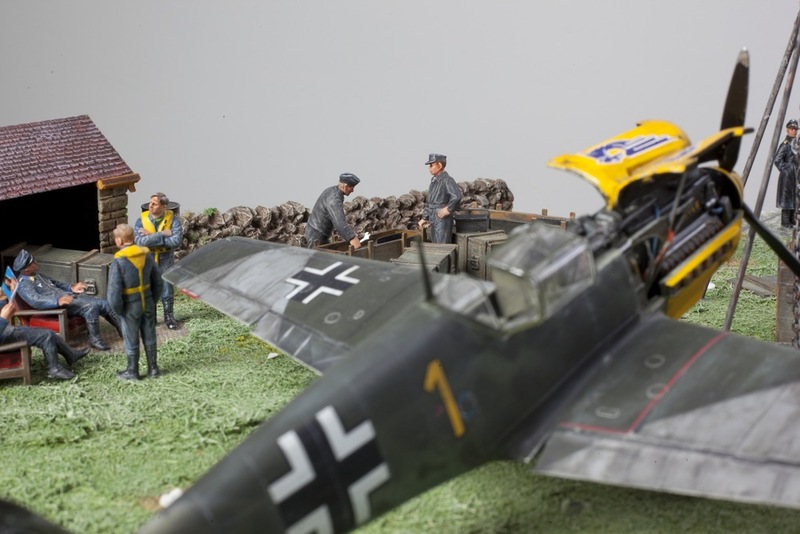 It also includes sales packs of Eduard cockpit detail set, and super scale decals, which are applied using micro set and micro sol. 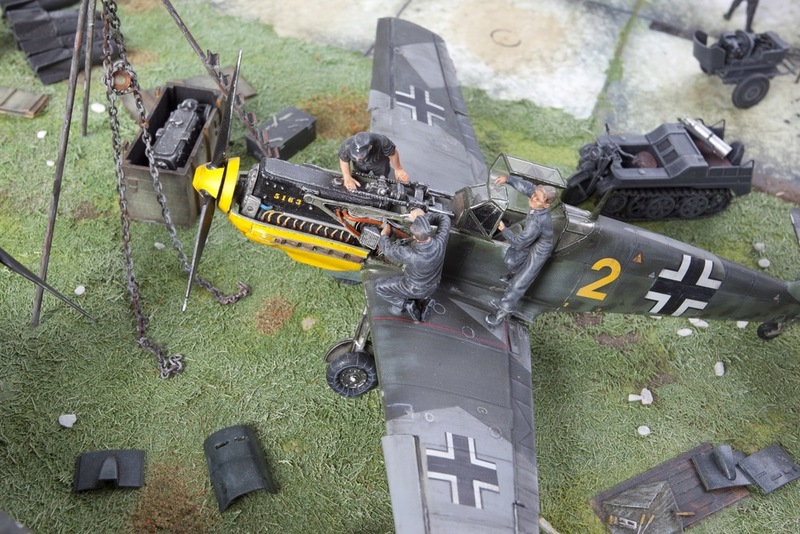 The models feature true detail tyres, with masters metal guns. 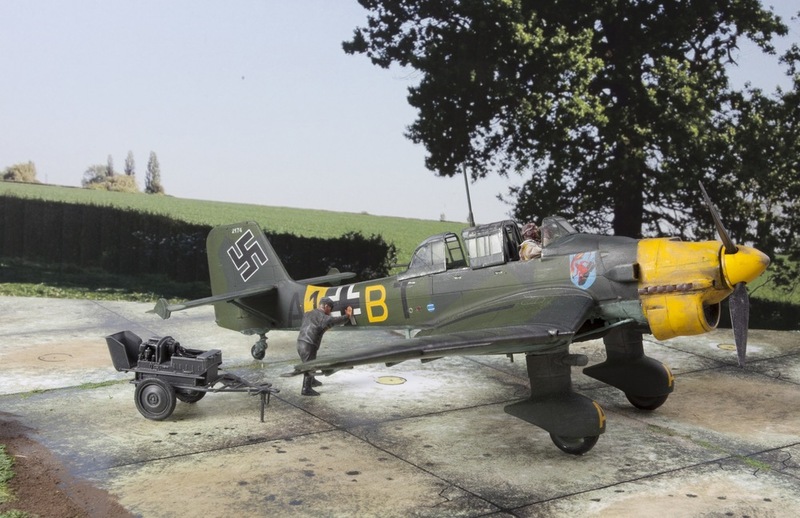 The Stuka is a Hasegawa 1/48 scale model, painted with Vallejo model air paints, applied with an Aztek spray brush. 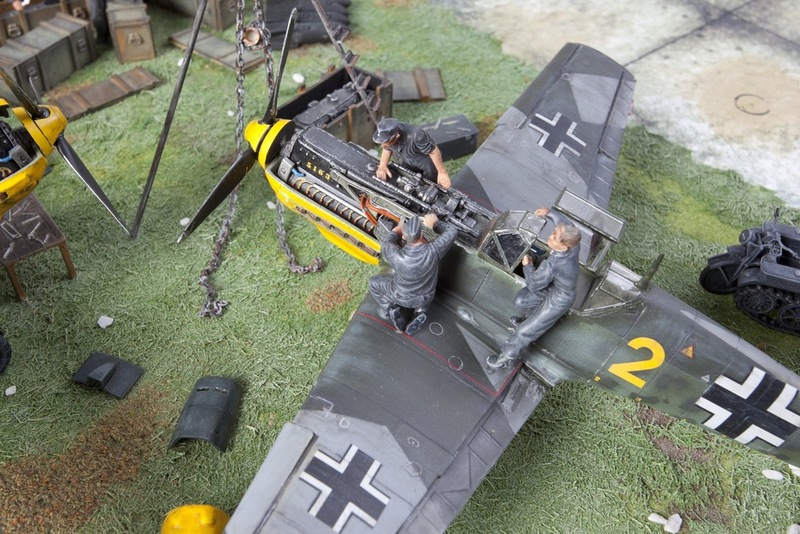 After sales components include an Eduard cockpit detail set, and super scale decals, which are applied using micro set and micro sol. 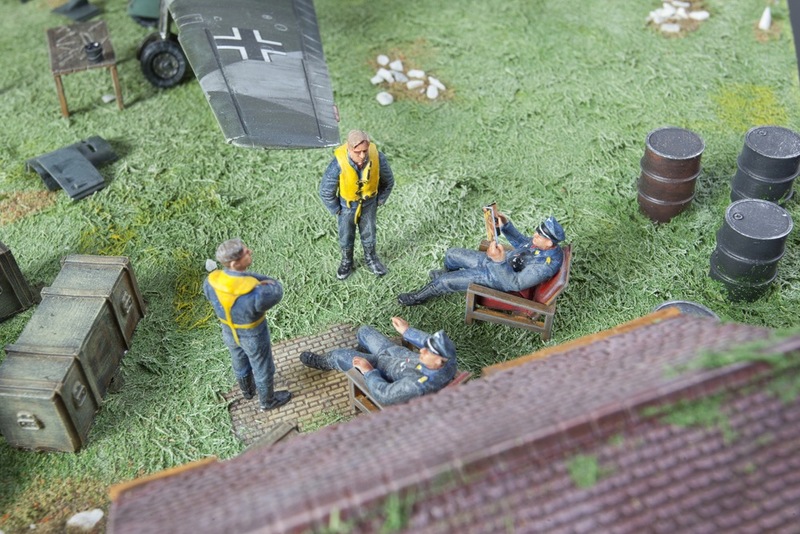 The diorama boasts Verlinden ground end crew, along with Dragon Luftwaffe ground crew, a Tamiya jerry can set, Verlinden bomb set, and a scratch built engine hoist. 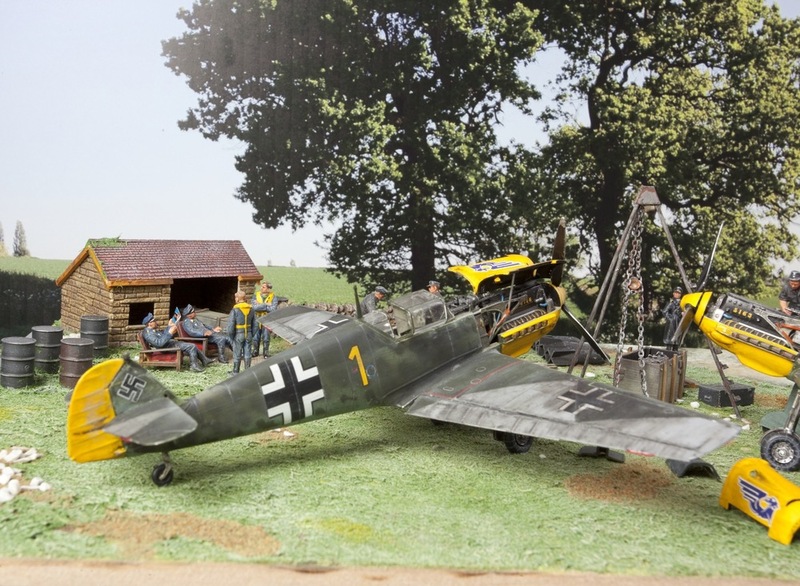 The farmhouse and wall are from local train set dealer. 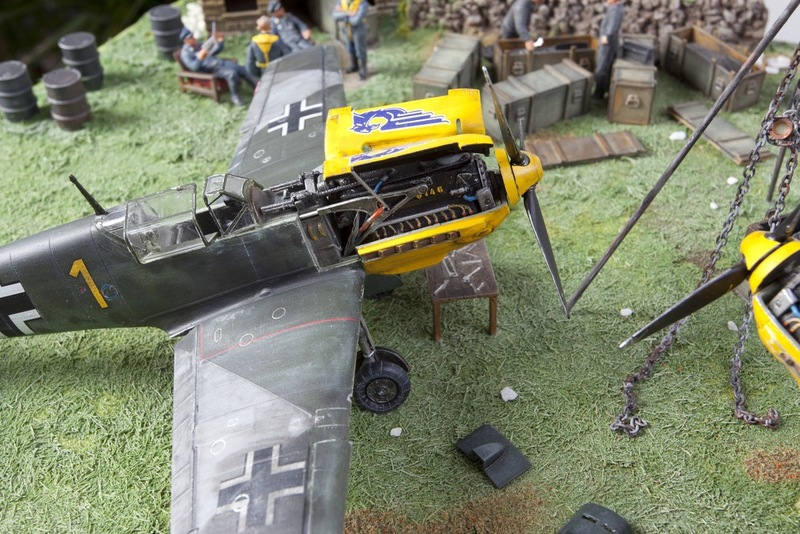 The base is MDF with a Verlinden air force runway set, and Tamiya diorama grass effect.